Free delivery to Metropolitan France by Colissimo. For iPhone 6 / 7 / 8. For iPhone 7 / 8 Plus. The hand-made beetle case is distinguished by its iconic colour palette and its interior royal blue which is presented throughout the entire collection. 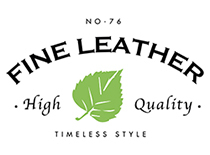 Our leather is carefully selected with waterproof treatment so as to develop a gorgeous patina through time while remaining the appearance of the colours. The beetle case collection represents the scarab perfectly, symbol of resistance. Scarabs have the ability to withstand high intensity shocks. This little insect has the possibility to carry up to 400 times of its weight, symbolising the utmost robustness. © 2019 Beetlecase. All rights reserved.